The original circuit was built in 1961 and hosted 18 rounds of the F1 World Championship from 1967 until 1985. The circuit layout was changed in 1988 with only half of the original layout retained. This second version was active for a brief period. A new revised layout, which included a new pit building, was constructed in 1991 and again hosted Grand Prix rounds in 1992 and 1993. The facility continued to host local and international motorsport including various rounds of the World Superbike Championship and A1GP until 2010. After this period the facility started losing its International status and was put up for auction in 2014. When the hammer fell at the auction on the 24th of July 2014 motorsport fans, both locally and internationally breathed a sigh of relief. The reason for their optimism for the future was simply, that a man with a passion for motorsport had rescued the historic venue from the brink of imminent demise. Toby Venter a well-known and respected motor business entrepreneur, visionary and successful race driver was the man behind the successful final bid. What proceeded was an extensive redevelopment plan for the facility which represents the single largest upgrade in the circuit's 54 year history. Alterations included a complete resurfacing of the circuit to international specifications, changes to the circuit layout, upgrade of circuit safety with the objective of once again obtaining a FIA Grade 2 license , improvement of all spectator areas and facilities and a major refurbishment of the pit building which now includes world class conferencing and exhibition facilities. It is planned for the upgraded facility to be reopened in May 2016. 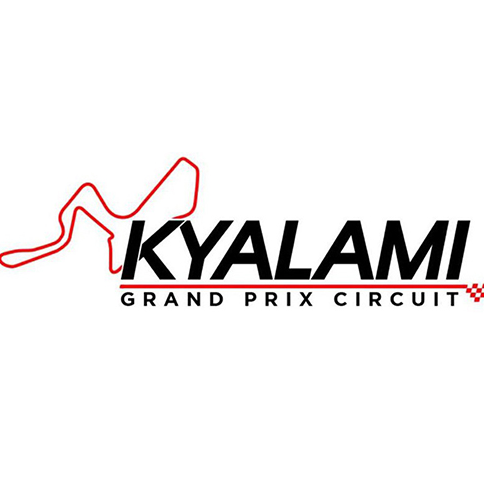 The Kyalami Grand Prix Circuit has once again taken its place as the premier motoring and motorsport facility in Africa as well as a leading venue in the conferencing and eventing arena. The great visionaries of the original circuit will certainly be proud.